Today I am delighted announce both the winner of the February monthly newsletter giveaway and the prize up for grabs in the March giveaway! So firstly many congratulations to Bev who blogs over at Reading for Pleasure the winner of our February giveaway of a box full of bookish goodies! 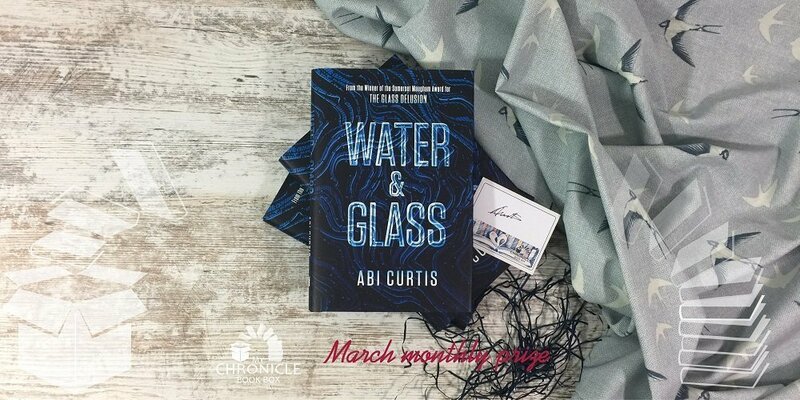 Our March giveaway, is for a copy of the wonderful, thought provoking dystopian novel Water & Glass by Abi Curtis with a signed bookplate. To be in with a chance of winning the aforementioned awesome hardback novel simply sign up to our newsletter!